You love your daughter, and want the very best for her. You want her to be the strong, smart, independent and confident young woman you know she can be. The problem is, the world is working against her. Our girls are being torn down. They’re being told that they aren’t good enough, smart enough, pretty enough, and they don’t have what it takes to make it. Schools aren’t enough to right this wrong. Sadly, families alone, although we try hard, aren’t enough. We need each other! 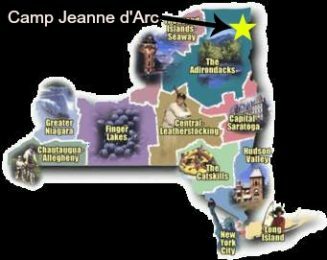 Camp Jeanne d’Arc (CJDA) is an all-girls sleepaway camp on pristine Chateaugay Lake in the Adirondack Mountains of Upstate New York. 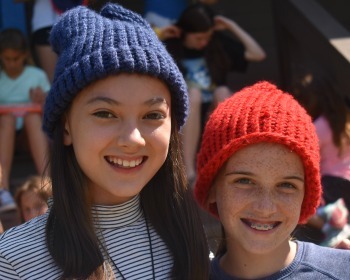 Girls ages 7-16 are invited to join the CJDA family and make Camp Jeanne d’ Arc their summer home. 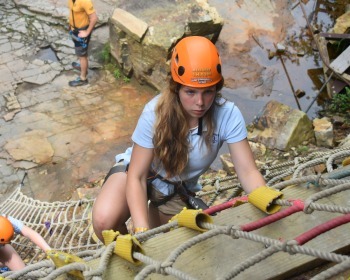 Our well-organized, technology-free program offers the classic camp favorites, as well as a variety of “choice activities” every day. Here’s What Makes Us Special! 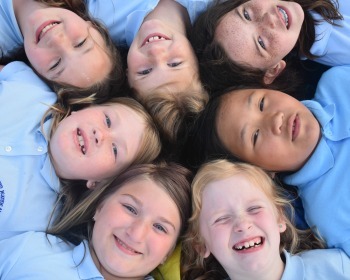 At Camp Jeanne d’Arc our goal is to help your daughter Find Her Voice, Uncover Her Talents and Passions, and Realize Her Value! 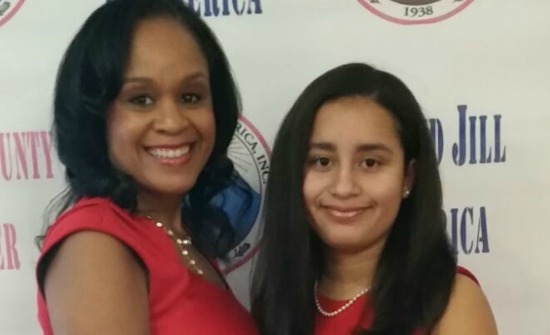 Without gender distractions, your daughter is more likely to accept leadership roles, take more risks and try new activities. Let’s hear it for Girl Power! At Camp Jeanne d’Arc, we are small by design. We have an average of 90-100 campers at any given time. These smaller numbers allow us to pay more personal attention to each one of our campers. Each cabin has an average of 12 campers with 2 to 3 counselors attending to each cabin. 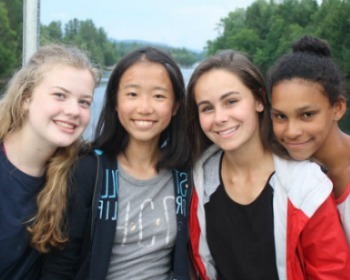 At Camp Jeanne d’Arc we host campers and staff from all over the globe. Our camp family consisted of campers and staff from North, South and Central America; Europe; Africa; Canada and New Zealand! It’s more than summer camp, it’s a cultural experience! Camp Jeanne d’Arc is a 100% no-tech zone! Communication is encouraged through letter writing and Bunk Notes. Phones will be collected upon arrival and returned at departure. We offer exciting motor trips to choose from throughout the summer. These range from high adventure to scenic and leisure. Get up close and personal with the beautiful Adirondack Mountains! “Giving Back” is the CJDA Way! 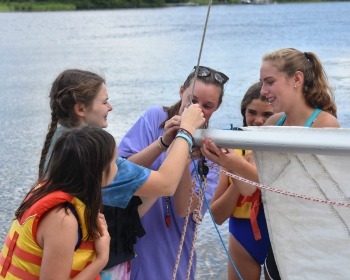 In addition to awarding over $50,000 in scholarships each summer, CJDA takes part in fun, interactive service projects that remind our campers the importance of giving back. 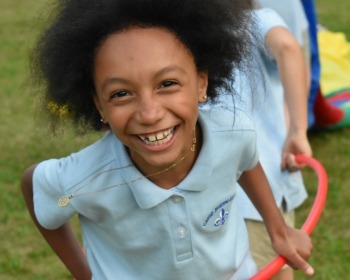 Our Camp Jeanne d’Arc traditions make us one-of-a-kind! From “Christmas in July” to “Feather Picking”; “Fourth of July” to “Sundaes on Sunday”, we’ve always got something special on the horizon. But it’s not all about the past, campers are encouraged to forge new traditions of their own. Our delicious, healthy meals are served family style. Campers are encouraged to try everything, but just in case they can’t find anything they like, a full salad bar is offered with every meal. Vegetarian, gluten-free, nut-free, and other special dietary needs can be accommodated upon request. Sandy and Randy Abbott are the owners and directors of Camp Jeanne d’Arc. Having four children of their own, the Abbotts understand what it takes to care for their campers. They are “hands-on” directors and take part in every aspect of camp life. Your daughter’s safety and happiness are their top priorities! First, I’d like to say that Parys has not stopped talking about camp since she left in August! She literally talks to her friends she made on a daily basis… These girls have left such a great impression on her.